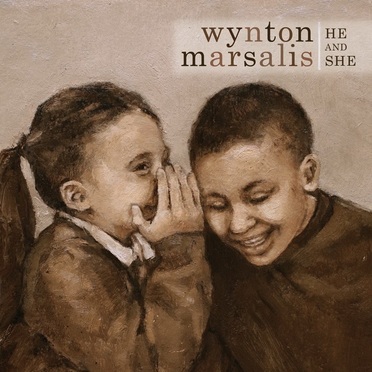 As the title to WYNTON MARSALIS's fifth Blue Note release indicates, He and She is about that eternally compelling and most elemental of subjects: the relationship between a man and a woman. The Pulitzer Prize-winning composer, trumpeter, and band leader, however, hasn't merely crafted a love story, but a life story -- a bittersweet rumination about the evanescence of life as well as the elusiveness of romance. Time is very much at the heart of He and She: the swift passage of time over the course of one's life, the mood-altering shifts of time within the duration of a song. It's an ambitious effort, combining spoken word and music, and Marsalis has given his quintet some formidable charts. The album is tempered with dashes of humor and plenty of swing. There's ease and elegance and more than a little wisdom in these grooves.